Thank you for wanting to know more about me. I’m a lot like you, just a soul on a journey. 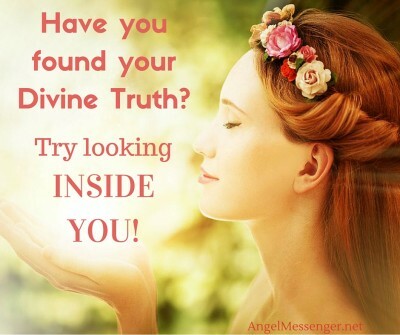 My husband and I created Angel Messenger as a way to help others learn how to connect with the Divine and to discover their own spiritual journey. I’ve taken quite a journey with all kinds of doctors, specialists, integrative, alternative and herbal practitioners. 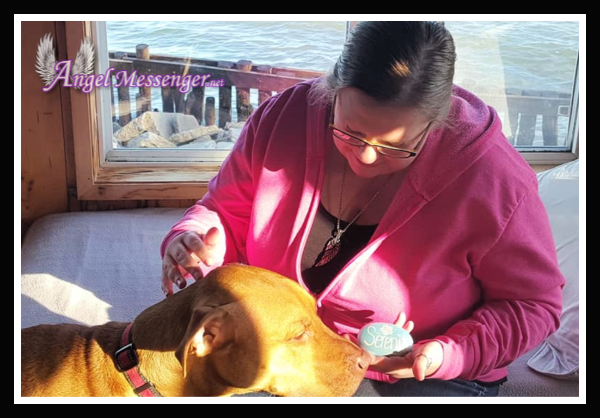 At the end of the day, after all the food restrictions, supplements, medications and therapies, my pain has continued to progress. Despite all my spiritual training and certifications, even my faith didn’t save me from this pain. There came a point where I could no longer do yoga without further injury, and my mind couldn’t even focus enough to meditate. I was forced to embrace the pain as a part of me, and that pain has taken me on a journey to see through everything that wasn’t real in my life. I began to find my way into deeper spiritual studies, becoming more and more drawn to Shamanic concepts. Then, one day while speaking to my grandmother, I began to understand something very important about myself. I am descended from two powerful Shamanic cultures. My ancestors are Native American (Chippewa/Sioux) and Romani Gypsy, both on my maternal grandmother’s side. This knowledge helped me to accept a few important things about myself … including that I do see the world a bit differently. I always have been a bit different, and it is perfectly acceptable to be different. Even though others have tried really hard to make me believe that my “differentness” is a bad thing, it is also a big reason that I have been able to help others. However, that soul mission I have to help others has also been a bit of a curse at times. I have not been so good at keeping strong boundaries or keeping myself in balance. I tend to expend too much energy, leaving me overwhelmed and exacerbating my illness. Anyway, I can’t just sit around and do nothing waiting to get better. I’m sick of going to doctors and reading about things to make myself better, trying things that worked for others only to find that they don’t work for me. I am sick of watching the world spin out of control and feel like I have to try to do something, even if I can’t do much. My team and I recently completed our Beauty project, trying to bring a little beauty and light into our world, and we have a new project starting in April called The Mother Earth Project. I have also found that some of the experiences I’ve had might be helpful to others, so I’ve written a few posts about those things. I have found ways to lessen the pain. But, through that pain, I’ve also found that I can still live a life. I have a life that is more true to who I am than I have ever allowed myself to be, though I am still very much on the journey. If there is something I can do to help others (without causing additional harm to myself) to find a healing and authentic kind of life, it might just make all this pain worth it. My life is far from perfect, but life doesn’t have to be perfect to be good. I still sometimes have very dark days, especially when the pain is really bad or I’ve been stuck in bed for too many days, but I also have good days. I now accept myself for all that I am – “good” and “bad”. My mission is to balance my own energy enough so that I can create on the good days. I just want to begin creating little specks of light where I can, and maybe a few of those specks will shine bright enough to ripple out and touch the heart of another. Thank you for reading about me. We are all just souls on a journey. P.S. Since my healthy time has been limited, I spend a lot of time in self-care as well as homeschooling my son. 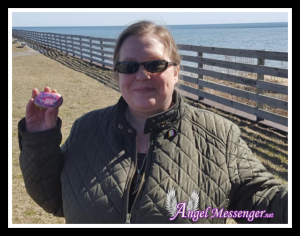 If you need to connect with me, the best thing to do is reach out to our customer service here … http://www.angelmessenger.net//contact-us/.